After going the the Gold Coast theme parks this just seemed overly complex and expensive to take children. Each ride is individually priced and can be bought in 'packages' of multiple rides and turns on each ride however for a lot of families, its hard to know what each person will enjoy the most and want to do until they have tried. There are also some odd rules on children's ages for use of the water park and as a result our 2.5 year old was not allowed onto the water play area that can be found as a free attraction at many more northern towns. 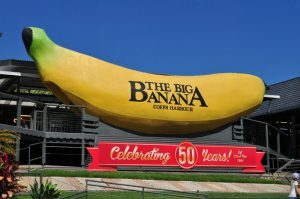 Overall not worth the visit if you are travelling more broadly but may be good for a day out if in Coffs Harbour for a longer stay.